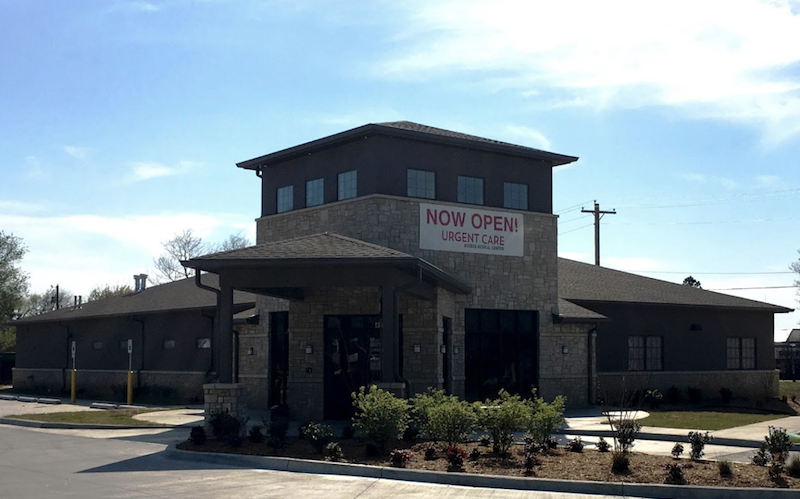 As part of the larger NextCare Urgent Care, this clinic has affiliates with the closest other clinic being in Midwest City about 4.2 miles away and is open today from 8:00am to 8:00pm. Recognized favorably amongst their patients, Access Medical Centers, Del City has an average rating of 4.6 stars out of 5 based on 996 total ratings. In fact, recent patients have frequently used words such as "ambiance", "bedside manner" and "timeliness" to describe their experience at the clinic. Certainly not terms you hear about healthcare providers too frequently! I feel like the staff that checked us in today tthat called us back to swab my son's throat doesn't like children. She's very unfriendly and rude. My 6 yr old was playing with the bag they give you for vomiting. He put his hands inside so she took it away from him and said it's not for playing with. But the way she did it was very rude. Why does it matter if he's playing with the bag it doesn't have vomit in it. She didn't pay for the bag. Infact his insurance covers that bag.. this isn't the first time I've felt some of the staff dislikes children. They were both busy had one other person in the waiting room. So definitely no need to act to rude and unfriendly. It isn't like we wanted to be there either. I checked in by phone, got there filled out a piece of paper, paid, got taken back by the nurse, sent to the bathroom, put in a room, immediately seen by PA, diagnosed, and given instructions. All in 30 minutes! Love the nurse and the PA. Both listened to what I said. Quick friendly and knowledgeable staff. Out in 30 minutes. Great experience! Dr King and staff were thorough, compassionate and speedy! Access Medical is quick, efficient, and the staff is very knowledgeable to help you with whatever need that you have. I had excellent visit practioner answered all my questions and concerns. Great people, knowledgeable and attentive. I had a great experience will recommend to others. Thank you all for being friendly and efficient. The front desk staff was super nice. The nurse was patient when my son kept trying to kick off the pulse ox. And kyndra was as always super nice and friendly and gave me plenty of at home options for my son.